Aerial top view of the waves with foam on black volcanic beach in Iceland. Young couple walking near the sea. 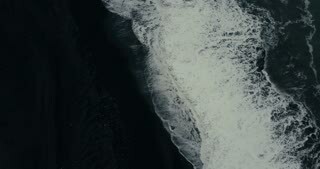 Aerial top view of the powerful wave with foam coming on the shore of black volcanic beach in Iceland. 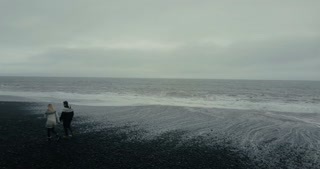 Aerial top view of the strong wave with foam coming to the shore of the black volcanic beach in Iceland. 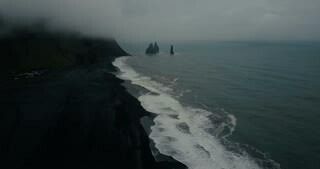 Aerial view of the black volcanic beach in Iceland and troll toes rocks in the sea. Copter flying over wave with foam. 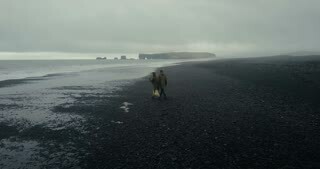 Back aerial view of young hipster couple walking on the black volcanic beach in Iceland. 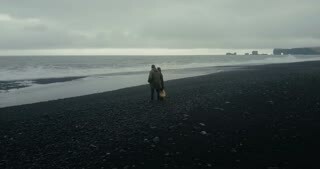 Man and woman enjoy the sea. 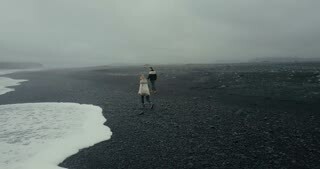 Back aerial view of the young couple running on the black volcanic beach in Iceland. Romantic date near the sea. 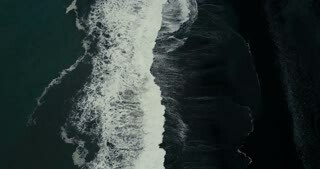 Aerial view of young couple standing on black volcanic beach near the troll toes rocks and enjoying on wave in Iceland. 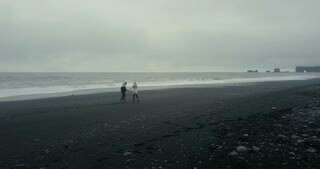 Back aerial view of the young couple walking on the black volcanic beach in Iceland. Romantic date near the sea. 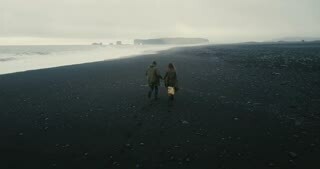 Aerial view of young stylish couple walking on the black volcanic beach in Iceland. Man and woman running from the wave. 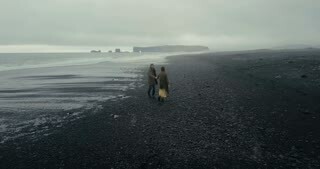 Aerial view of young couple walking, running on black volcanic beach in Iceland. Tourists in lopapeysa enjoy the waves. 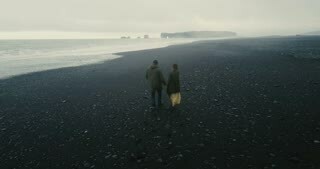 Aerial view of the young couple walking on the black volcanic beach near the troll toes cliffs in Iceland.